After spending a thoroughly enjoyable three days at my first Hay Festival, I’m already looking forward to returning next year. The combination of stimulating talks within relaxing surroundings generated a palpable buzz of conversation, a positive atmosphere more pervading than the cold breeze that gusted through the site. Having attended economist Dieter Helm’s talk on natural capital hours earlier, a far more positive and compelling approach to the topic of integrating nature within economic and social development was presented by Tony Juniper, speaking from the Good Energy Stage about What Nature Does for Britain (Profile Books, 2015). Whereas Helm focused on the finances, speaking abstractedly of ‘bits of nature’, Juniper explained how it is in our best interests to invest in natural restoration, as the benefits, economic and otherwise, are manifold. For example, the expansion of offshore wind farms would not only contribute to national energy security and employment, it also presents an opportunity to restore areas of sea bed damaged by trawling as well as providing a sanctuary where fish stocks can replenish. Juniper marvels at why the government is incapable of such joined up thinking, instead spending billions of pounds towards farming subsidies, water companies and flood defenses, seemingly oblivious to the positive reinforcement between soil erosion, water run off and flooding. In an effort to redress this balance, What Nature Does for Britain has been posted to all new MPs. On Saturday the warm sun and excuse for local award-winning ice cream only added to my delight in hearing one of my favourite writers, Robert Macfarlane, introduce his new and beautifully produced book, Landmarks (Hamish Hamilton, 2015). For those not already convinced, on Sunday afternoon physicist and climate scientist Chris Rapley presented the indisputable evidence of man-accelerated climate change, in 2071: The World We’ll Leave Our Grandchildren (John Murray, 2015). Rapley concluded that science can only inform and predict, it cannot tell us how to respond. His theory of ‘slow violence’, a low sensitivity to that which we do not experience directly, such as the major effect climate change has on our oceans, explained the vast majority of society’s unwillingness to act. Awareness simply is not enough. Rapley suggested employing narrative as a way of engaging people into action. Rapley echoed a common theme among the talks I attended: we are fast running out of time. We have an urgent need to act. But how? Year on year, Hay Festival organisers are improving their environmental performance, through the direct impacts of the festival and festival-goers, and stimulating awareness and discussion through event programming. The annual Hay on Earth Forum already performs a crucial function in stimulating discussion around managing and mitigating environmental impacts through a series of talks and events. There is great opportunity here to introduce more small-scale, solution-based talks into the programme. As Hay Festival wound down, I ended a fascinating three days with a refreshing perspective on nature conservation by environmental journalist Fred Pearce, based on his book The New Wild: Why Invasive Species Will be Nature’s Salvation (Icon Books Ltd, 2015). Pearce argued against a romantic, static view of the natural environment, in which invasive, alien species are demonized and exterminated, in favour of dynamic and adaptive ecosystems in which the ‘go-getter’, colonising species are regarded as part of the solution to natural restoration, not the problem. Several examples were given of how invasive species actually helped clean up pollution or restore the landscape. In mid-late 20th Century Puerto Rico, agricultural land was abandoned after deforestation followed by intensive farming led to massive soil erosion. It was the introduced African tulip tree that first appeared back on the infertile and compacted soils, repairing and restoring biodiversity as the native species gradually returned and learned to coexist. Pearce believes conservation should not be exclusively dedicated to ‘pristine’ areas of land, but extended to include derelict, industrial wasteland, which is more at risk from redevelopment, and often supports flourishing natural ecosystems. He wills us to embrace the emergence of novel ecosystems and alter our state of mind towards a new ecology, a new wild. 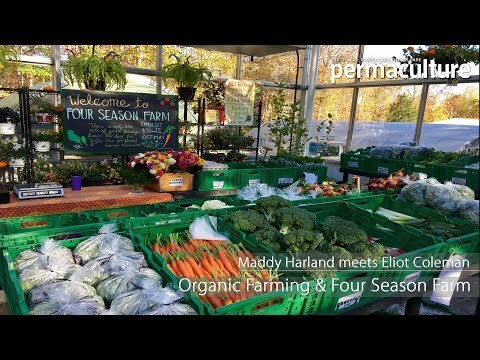 Emma Postill is the publishing assistant at Permaculture magazine and Permanent Publications. Turn your old coffee grounds into a facial, insect & slug repellent, even a deodorant and more!